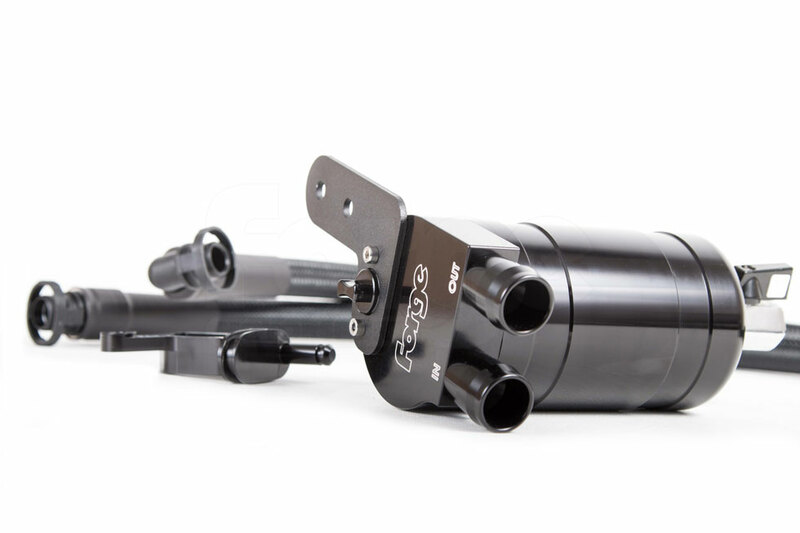 This oil catch tank kit is the product of many months of intensive research and development by our in-house development team, and the end result is by far the most complete oil collection system currently on the market. Not only is it beautifully designed, it has been created to capture the maximum amount of harmful contaminants, including oil deposits, unused fuel vapours and moisture, all of which would ordinarily make their way back through to the inlet of the engine. 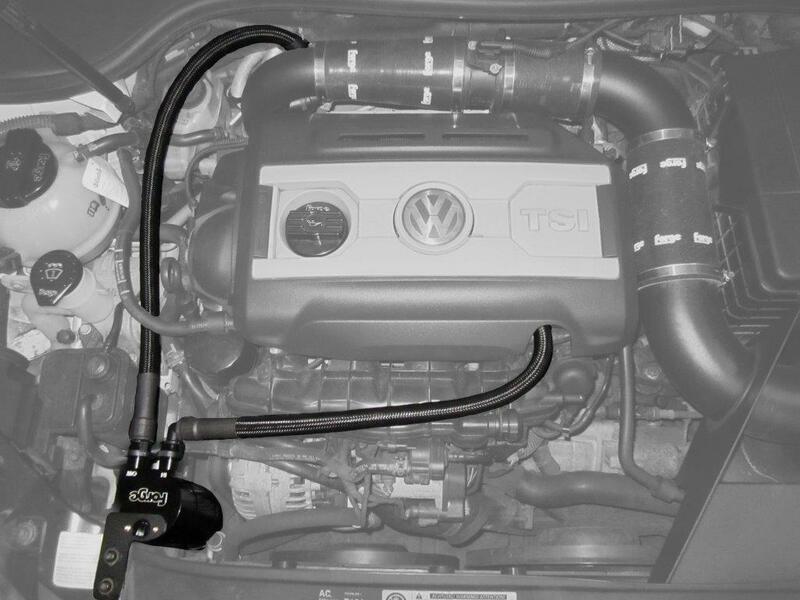 Extensive testing has proven our oil catch tank kit's ability to effectively reduce sludge and carbon build up, in turn allowing the Golf Mk6 GTI's TSI engine to both breathe and perform more efficiently. It can therefore be viewed as a genuine performance enhancing product and one we recommend any Mk6 GTI owner seriously consider, particularly if they are planning more advanced power tuning at a later date. The 0.4l (400cc) catch tank boasts a slew of features intended to make it both easy to check and simple to drain, including a dipstick for level inspection and a well placed drain tap. 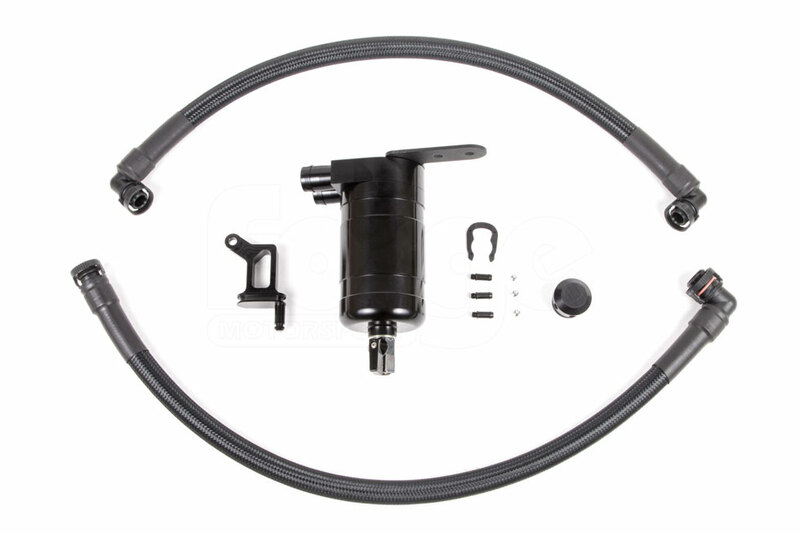 Finally, the kit features a pair of stainless steel reinforced oil resistant hoses with black external braiding, which combine with the supplied fittings to form an OEM-looking product when installed, so much so that the engine cover can still be clipped into place! A drain tap for ease of emptying. A dipstick for simple level inspection. 2 Quality stainless steel reinforced oil resistant hoses with black external braiding for that inconspicuous look. Fully assembled with fittings to suit the OEM connections. The engine cover can still be fitted after installation. Installation is straight forward with all necessary fittings and instructions included. *Dipstick level is set at less than 0.4L for optimum breathing. So i bought this catch can a few weeks ago. All i can say is this is one of the best on the market. Price point is phenomenal, and quality is amaizing. Took me 3min to install. I also took a substantial amount of pictures as well. If you are looking for a great catch can look no further. This product is the bomb.